Billy Reynolds: [voiceover] See 'im, Peter, he's the top boy - he runs the show. And 'im, Wayne, does whatever Peter tells 'im. And Jason, well, every firm needs a mad acid-bath murderer, don't they? I'm ashamed to admit that I only understood this film the second time I saw it. It is easy to confuse the characters at times as they double cross each other, change camps and generally confuse the viewer to no end. 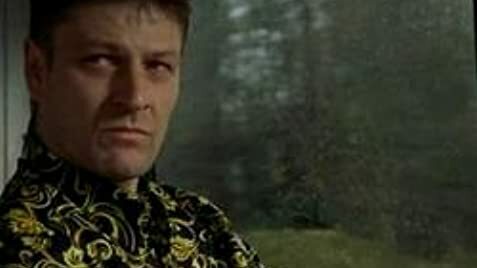 However, it was worth it for Sean Bean as the psychopathic Jason Locke and Alex Kingston as his femme fatale wife. The guy playing Billy, the narrator, was also very good. There are very few moments of humour but they certainly work, Lisa's foul mouth, comes to mind as well as the fact that Jason stole the marble lion from his former boss' garden. The plot becomes a bit too confused in the end with Lisa's web of deceit becoming wider and wider. Moments of violence are very realistic. Jason Locke's treatment of his wife is by far more shocking than anyone flying off a glass window. As far as the direction is concerned, it is fairly straightforward with some truly excellent editing in the shoot out, near the end as well as in the scene where Mr Dyke (I for one found Tom Wilkinson's gentleman gangster quite believable) is trying to kill Billy. In all, it is hardly a groundbreaking film but it is very entertaining. I'll give it 7/10.